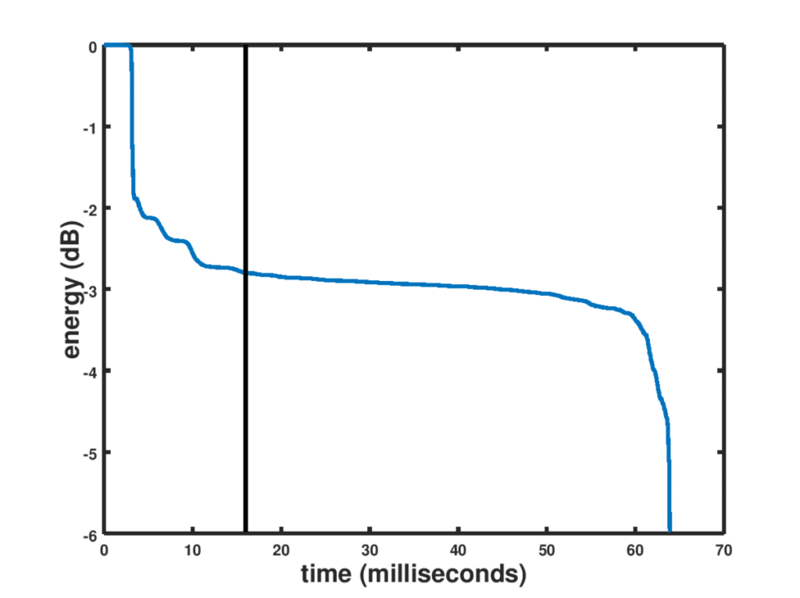 A typical normalized energy profile of a room impulse response is shown in Figure 2 showing that just about of the energy is contained in the first 20 milliseconds (~256 samples) . Thus, using an echo tail of 20m milliseconds will leave some substantial residual echo. The residual echo can be considered as a stationary interference with spectral domain cancellations being employed to reduce it.